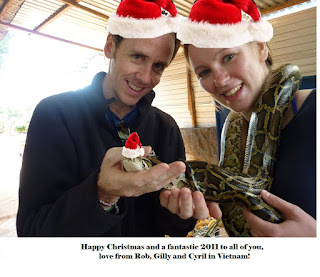 The Wandering Miltonian: Happy Christmas! This is going to be the most bizarre Christmas we've had. Away from much-loved and much-missed family and friends, we wanted to let you all know that whilst we're having a great time, we can't wait to catch up with you all again next year. In traditional Vietnamese fashion, we're going to celebrate Christmas by going to a water park. Don't let the turkey burn! Hope your Christmas is amazing, and 2012 is a year to remember for all the right reasons!